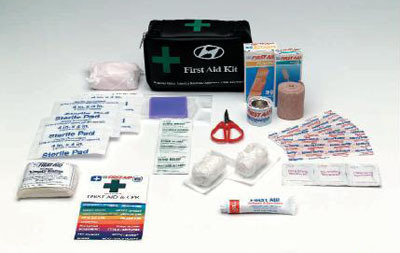 Be prepared for minor accidents with this conveniently packaged- durable first aid kit. It comes with everything from antiseptic creams to sterile gauzes. It also includes the Hyundai roadside assistance phone number.